We are a small group of highly-skilled, highly-experienced, and highly-motivated dental professionals in Cambridge, who are determined to provide the best possible dental service with the latest technology and clinical skills. We provide dental service in almost all aspects of dentistry including preventive treatment, restorative and cosmetic procedures, surgical and prosthetic procedures, dental implants and full-mouth reconstruction. Among other things, We believe in minimally-invasive biomimetic dentistry. We intervene and modify the nature only if we think it is absolutely necessary and beneficial to your overall health. Our practice was established to provide the most modern and meticulous dental care based upon minimally-invasive biomimetic approach. Every aspect of our practice revolves around this basic philosophy as its goal, and that's why we place such a great emphasis on prevention and maintenance. Our associates and staff members were hand-picked from the best pools of applicants in Massachusetts and were trained to employ the most modern dental techniques on every patient and procedure. We have built our practice on the referrals of our own patients and we take pride in knowing that our patients have such a great trust in us. We are committed to excellence in dental care. Above all, we are here to restore and preserve what nature has given to you: strong teeth, healthy gums, and a bright, attractive smile. When you seek care at our office, you are assured that we utilize the latest in technology and quality for your dental care. 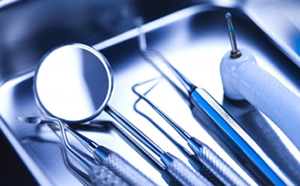 We are equipped with top-of the line machinery, equipment, and material from the most famous brands in dentistry and are constantly upgrading to better and newer ones as they become available. Each and every dental material and equipment we use in our clinic has been hand-picked by Dr. Khang only after thoroughly reviewing unbiased dental reports, lab-test data, and journals and after personally testing in controlled environment. We invest a lot in these high-tech, cutting-edge technologies because we believe all of these stuff in good hands will be extremely beneficial to our patients' oral health and to the advancement of science in medical and dental field. Dentistry is micro-surgery. You can only do what you can see. 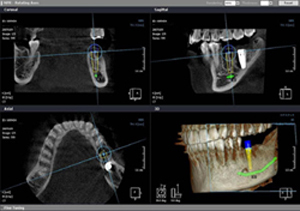 Digital imaging technology allows us to see a lot of things we cannot see with our naked eyes and it enables us to detect incipient caries in between teeth, determine and analyze the health of the bone, examine the roots and nerves, and diagnose lesions such as cysts or tumors, as well as any damages after trauma with greater accuracy when compared with regular imaging technologies. Also, with digital imaging, radiation exposure time is about 90 percent less, which means there's almost no harmful radiation to you. It also offers more precision since we view the image on a computer monitor, instead of holding up a 35mm film up to the light.